Roslyn Steer, Tinheart, Lisa Lemur, Rebel Reads Fundraiser! A fundraiser to help get Rebel Reads into a new premises! Over the past few months we have been working hard to set up Rebel Reads, and after the success of our membership launch in April, we’re going to throw a party! Come along to 14 Father Matthew Quay at 7.00pm on Friday, 29th June, where we will be providing more information on our group and how you can get involved. We will also be signing up new members here. 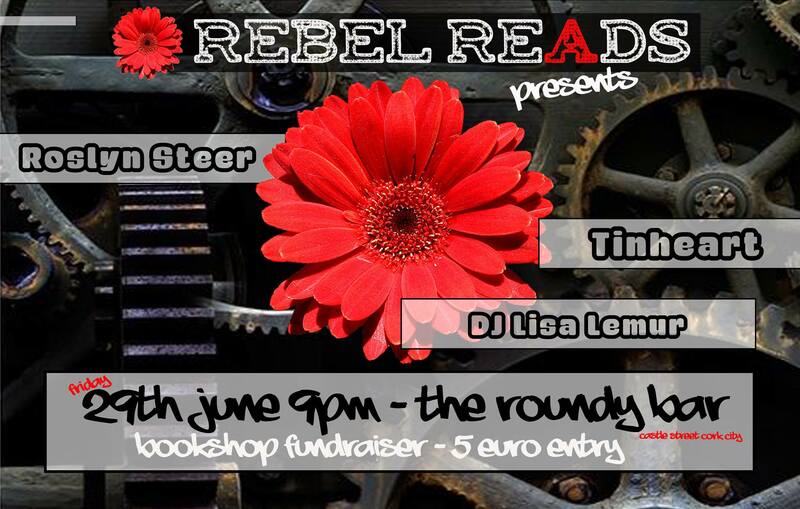 After that, we will head to the Roundy for 9.00pm for some music, it’s €5 in to this event, to raise funds for Rebel Reads. And Lisa Lemur on the decks providing tunes!